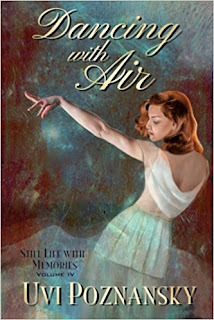 Dancing with Air is a story of deep and abiding love between Lenny and Natasha. While it opens with a challenge this couple faces late in life, we get to start at the beginning. Their love unfolds at a languid pace that poses a stark contrast to the jarring cadence of a world at war. So much is beyond their control as these young lovers are swept away by romance and duty.